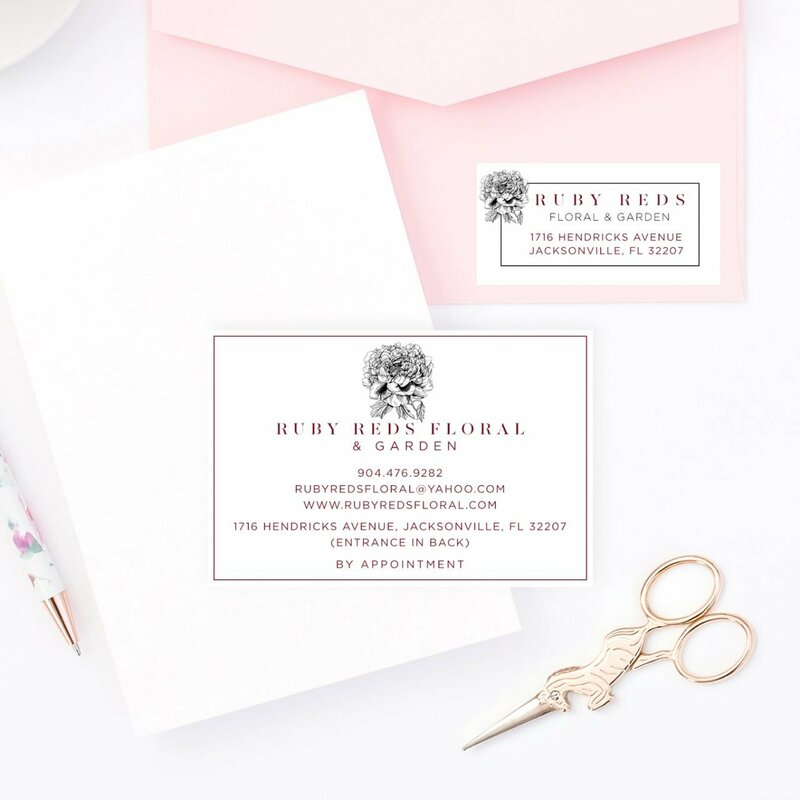 The client, Bonnie Melin, is a wedding and event floral designer based in Jacksonville, Florida. 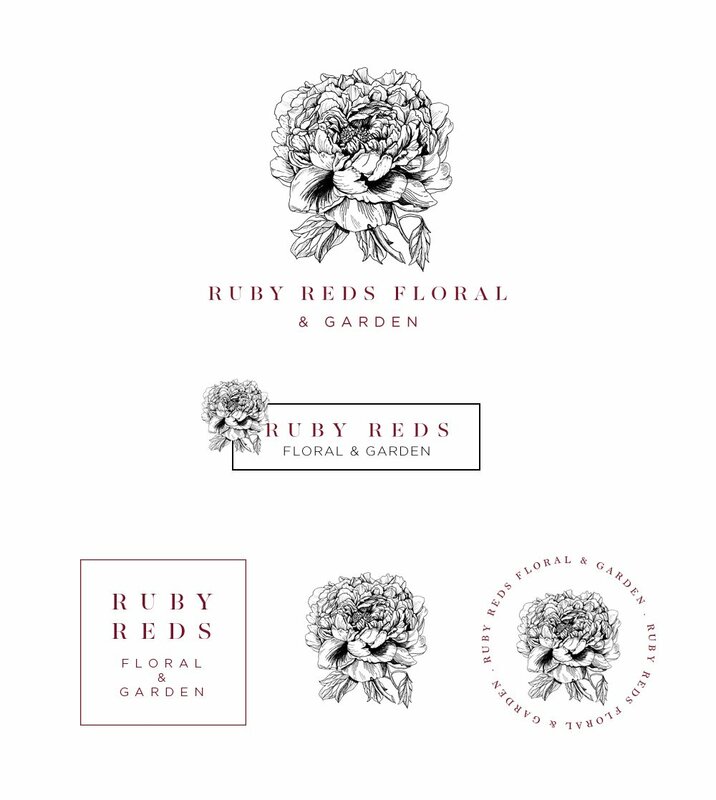 She has been in business for a number of years and wanted a rebrand to make her logo appear more high end and artistic. 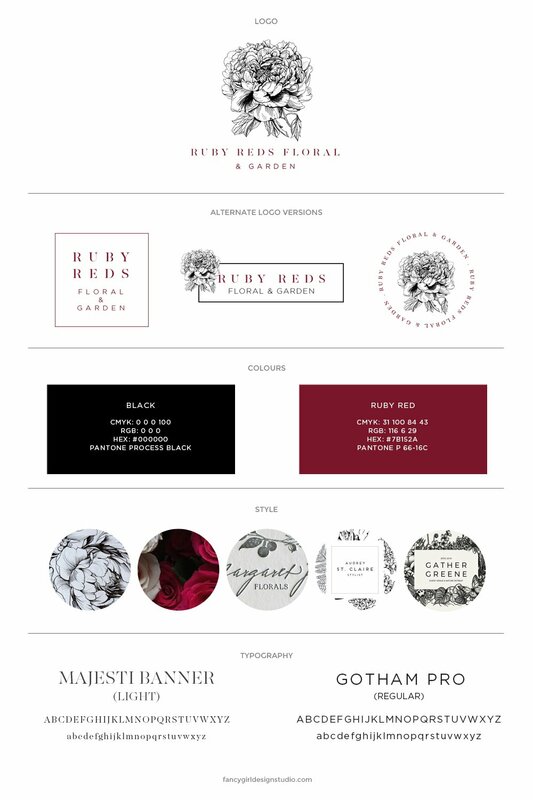 She already knew what she wanted for her logo design – a botanical peony illustration paired with minimalist typography. Choosing her brand colors was relatively easy because we already had her company name to guide us. 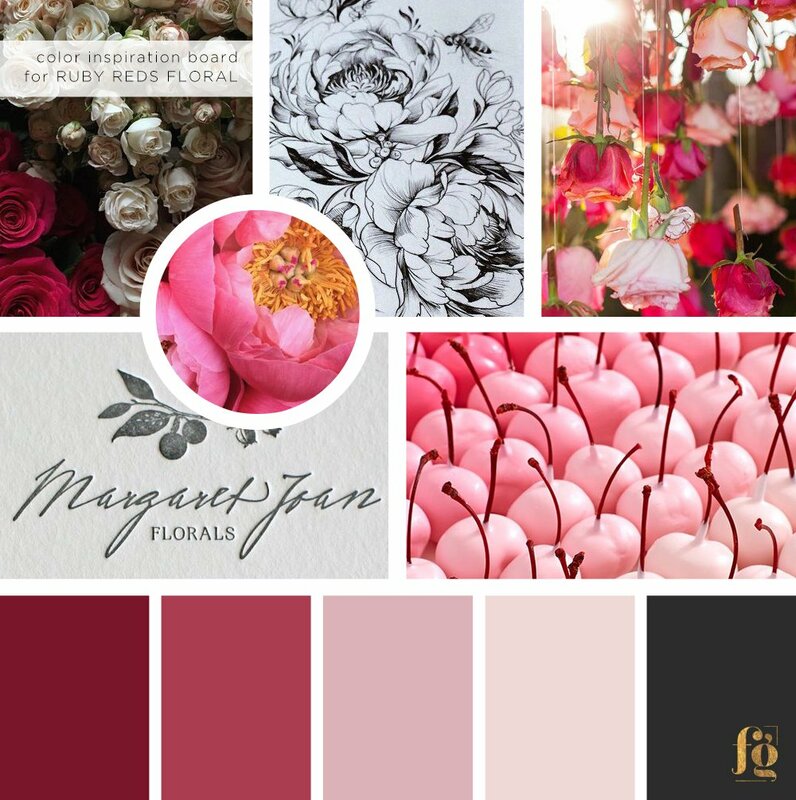 Here is the moodboard and color palette that I came up with based on her Pinterest board. The next task was to draw the botanical illustration. I had so much fun working on this! 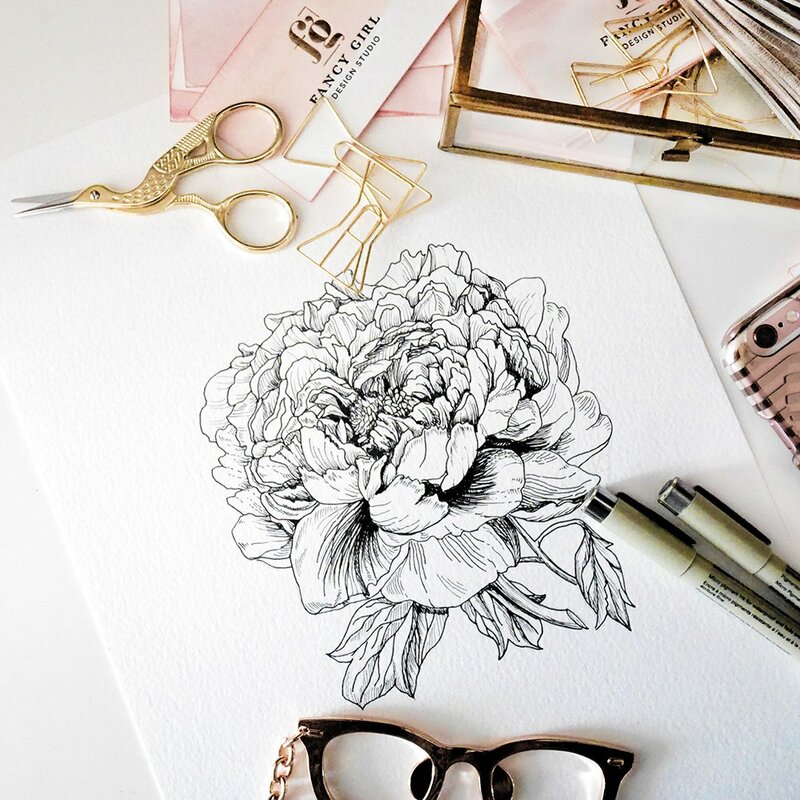 Pen and ink illustration is one of my favorite things to do, and I couldn’t be happier when Bonnie sent me all these peony inspirations. Here is the complete logo set, with the primary logo, secondary logo, and alternate variations. Bonnie wanted to be able to use the illustration by itself on various pages of her website. I really like how the richly detailed botanical illustration is balanced by the minimalist typography. I did a mockup of the logo as a letterpress print. 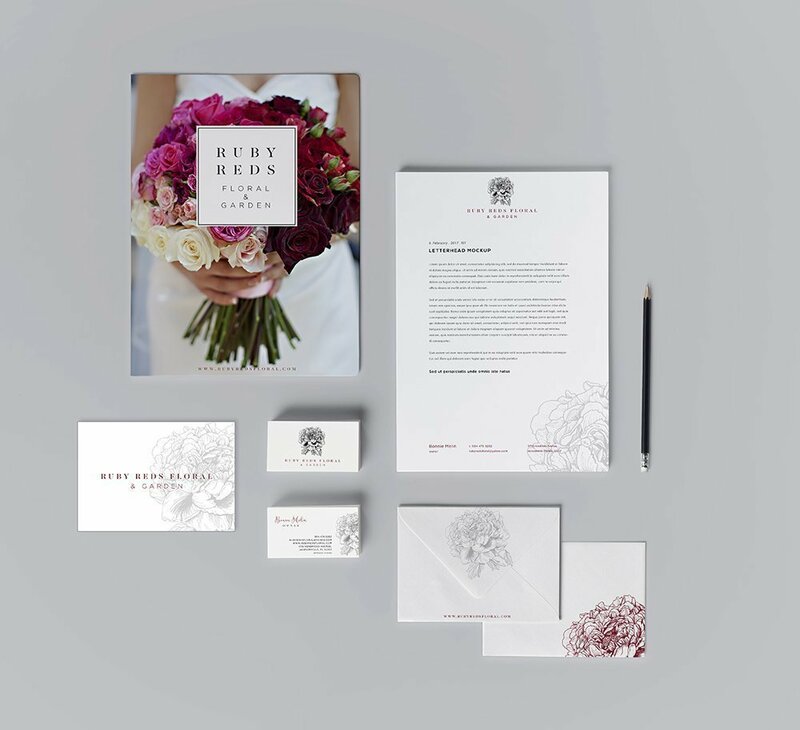 Here is the design for her entire stationery suite, with the presentation folder cover, letterhead, envelopes, business cards, and notecard. Bonnie also ordered additional sticker label designs.